A new luxury hotel on Victory Hill, run by a friendly French couple who will do all they can do to make you feel at home. The large rooms with large balconies all have magnificent sea views of Sihanoukville and its nearby islands. The bar is a popular meeting point and has a large swimming pool with chaises lounges on terracotta tiles and potted bougainvilliers that will give satisfaction even to the most sportive swimmer. 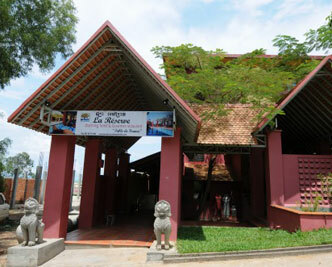 The terrace and gourmet restaurant is near the pool.